Austin, Texas, will be the first to experience a new generation of shareable electric scooters from an Oxnard, California-based company called Ojo Electric (pronounced oh-Joe). 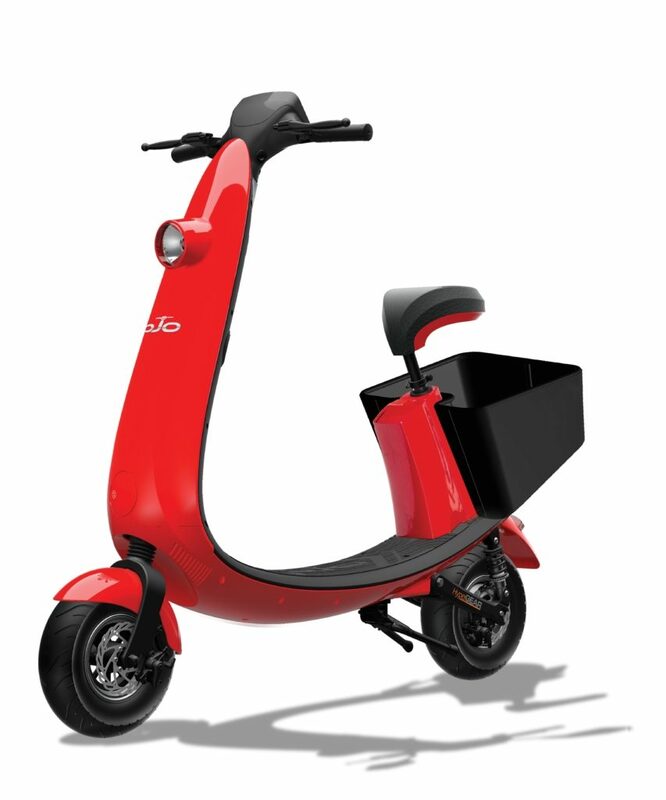 Unlike well-known scooter companies such as Bird and Lime, Ojo’s models are bulkier and include a seat. Referred to as a “light electric vehicle” (LEV), the scooters can travel 50 miles on a single charge and have a top speed of 20 mph, in compliance with city regulations, the company said in a news release. The company says their vehicles are designed for bike lanes and streets. On its website, the company says that riders can sit or stand, as well as play music or listen to podcasts over the vehicle’s built-in Bluetooth speakers. Ojo says those speakers will also allow the company to communicate traffic, construction zone and speed- reduction alerts to riders. Since they began appearing in cities all over the nation last spring, electric scooters have been beset by mechanical problems and reports of injured riders. Many of the vehicles, experts say, were designed for individual – and not fleet – use, prompting them to break down in a matter of days or weeks, leading to unreliability and accidents. Two people have died riding electric scooters over the previous year, and doctors in emergency rooms around the country have reported a wave of scooter-related injuries, including severe head trauma. In December, the Centers for Disease Control and Prevention announced plans to study the health risks associated with the dockless devices by analyzing injuries to riders and pedestrians over a two-month period in Austin last year. News that another electric-scooter company was launching in Austin met with mixed reactions online. Ojo is partnering with Austin Commuter Scooter (ACS), a subsidiary of the city’s bike-share program. Ojo and ACS say they will share data about scooter usage and ride trends and will have “boots on the ground” to service and repair vehicles, according to the news release. The companies say customers will be able to call a “24/7 customer service telephone support line” as well. Like other electric-scooter companies, Ojo says it has the ability to control scooter speeds and geo-fence locations. Asked by KXAN whether Austin needs another electric-scooter company, McFadden implied that Ojo shouldn’t be compared to standing kick scooters.